Rider Bio: Jackie started racing mountain bikes as a freshman in high school and has been racing ever since. 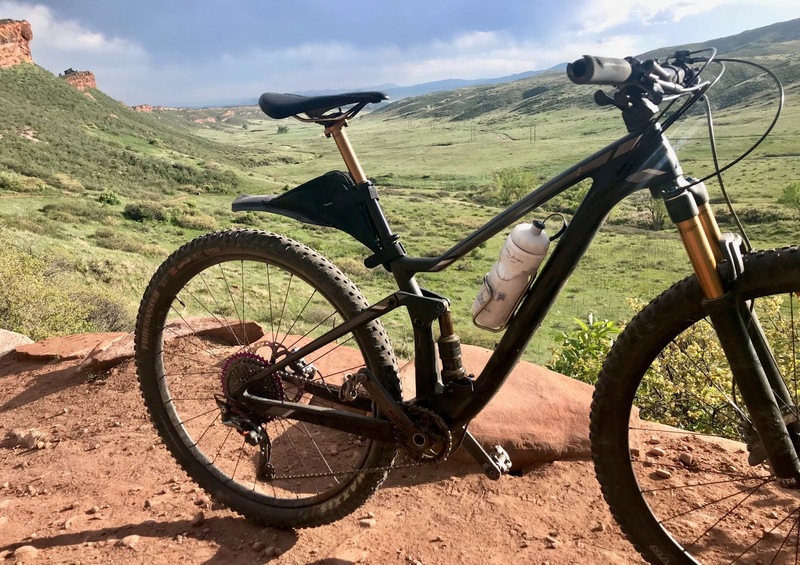 She competed with the Colorado State University Mountain Bike Team in both the XC and Gravity events and has traveled coast to coast to compete. She is now racing with Tokyo Joe’s Mountain Bike Team and focuses on the endurance (50-100) mile races. From the start I knew that the Fenderbag could easily be integrated into my riding because it solves the girls bike clothes never have enough pockets issue. I prefer not to wear a backpack and the Fenderbag’s storage is more than big enough for me to fit my phone, tools, and snacks. I even fit a light windbreaker in it. The length of the actual fender is perfect for keeping me clean, but I had issues with the fender rubbing against my rear tire. The distance from the bottom of my dropper post to top of my tire isn’t quite tall enough and while going over drops the Fenderbag tends to bottom out. Fit nicely on my frame, but the fender rubbed my rear wheel. Not hard at all! All you do is attach a sticky protective patch to your post and attach to velcro straps. I was able to access everything inside of the bag easily and since the zipper is placed on top of the bag everything stays inside while rummaging around. The fender may need some sort of reinforcement or more structure to help the fender sit higher and to prevent bottoming out. 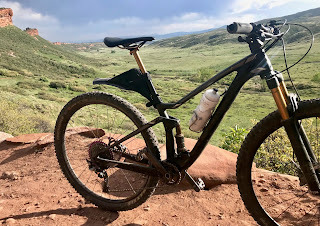 Hardtail MTB's - The bottoming out shouldn't be as big of an issue. With some slight modifications to the fender for reinforcement I think the Fenderbag would be a great product for a hardtail! Our design modifications, in order to facilitate the smaller frames, include straightening out the fender and increasing the flare on the tail. Additionally, we have plans for a new design that is much more like a mud guard that includes an accessory bag as well. These FBs will fit many bikes but best part they will fit the more women's specific frames such as the Liv frames. Hopefully, this will be considered as a #WildIdeasContest .